Arms supplied by Australia to the United Arab Emirates are potentially being diverted to militias engaged in the bloody Yemeni civil war, new research from Amnesty International has revealed. The investigation, When arms go astray: Yemen’s deadly new threat of arms diversion to militias, shows how the UAE has become a major conduit for armoured vehicles, mortar systems, rifles, pistols, and machine guns – which are being illicitly diverted to unaccountable militias accused of war crimes and other serious violations. Amnesty International has repeatedly asked the Australian Government for information regarding its supply of arms to both the UAE and the Kingdom of Saudi Arabia without response. “Despite mounting pressure from around the world, Australia continues to fuel the conflict in Yemen by transferring military equipment to the Kingdom of Saudi Arabia and the UAE,” Diana Sayed, Crisis Campaigner at Amnesty International Australia said. “Denmark, Finland, the Netherlands and Norway have suspended arms transfers to the UAE and in December the US Senate voted to end American military assistance for Saudi Arabia’s war in Yemen. Australia must now follow suit. Since the outbreak of the Yemeni conflict in March 2015, Western states and others have supplied the UAE with more than US$5 billion worth of heavy conventional weapons – including aircraft and ships – small arms, light weapons and associated parts and ammunition. 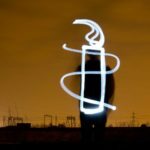 Amnesty International again calls on all states such as Australia to stop supplying arms to all parties to the conflict in Yemen until there is no longer a substantial risk that such equipment would be used to commit or facilitate serious violations of international humanitarian and human rights law.